Wrist watches were born in 20th century and before this era pocket watches were commonly known as time instruments. Although Patek Philippe already had created the wrist watch but it was mainly considered as women watch. Alfred Cartier was the person who made wrist watches a man’s watch. He friend Santos asked for a solution for time keeping while flight duration as a pocket watch was difficult to read. 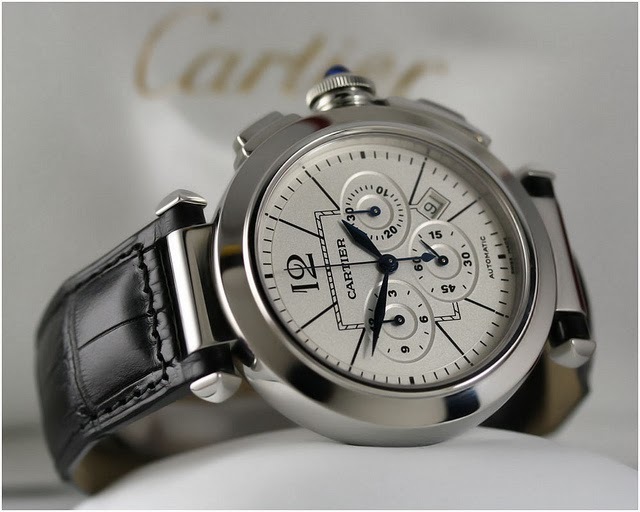 Cartier made the first watch (recognizable) for Santos. People came to know about the Cartier Watch when saw it worn by Santos in newspapers (after his first 220 meters long flight). Cartier Santos was the first men’s wrist watch model and later we saw a huge collection of Cartier watches, but how all this started? In 1847 Louis Cartier took over the business of jewelry who owned by his master. Louis Cartier was born in 1819. Louis Alfred, who was the son of the Cartier, started participating in the business of his father in 1874 that era can be marked as the bookmark of Cartier Family business and can be named as the Golden era. Through that period till 1906, there were many Cartier watch models introduced but none of them got any popularity. At those times, wrist watches were mainly known as a women’s watch or a jewel accessory. In 1906, Cartier made its first watch for Santos Dumont, who is known as the first aviation flight that prolonged to 220 meters. Cartier watches named that watch as Cartier Santos, and it is still in production at the time I am writing since then. Alfred Cartier, who took over the business from his father in 1874, his kids, took it to another level later and made the Cartier Business a Global fashion and wrist watch company. All three of them, Louis, Jaques and Pierre kept running their family business and expanded it to rest of the world like Japan, China, USA and more. It was not limited to Paris only. Cartier Santos was not the first watch that Louis Cartier made for his friend. There were some models that were being introduced by Cartier before that. One of the kinds of time pieces was a Mystery Clock, which was sort of transparent dial and hidden mechanism. Later Louis Cartier signed an agreement with Edmond Jaeger to provide movements for Cartier. During this era from 1907 to 1920, Cartier introduced many models including The Baignoire and Tortue models. Later in 1917, Louis Cartier introduced another design which was an inspiration from tanks that were used in World War II. All of these models still are in production since then. We can find watches from Cartier from that era, and they used movements from other manufacturers also. Vacheron Constantin, Audemars-Piguet, Movado and LeCoultre are famous watch manufacturer, and we can find Cartier watches with their movements. 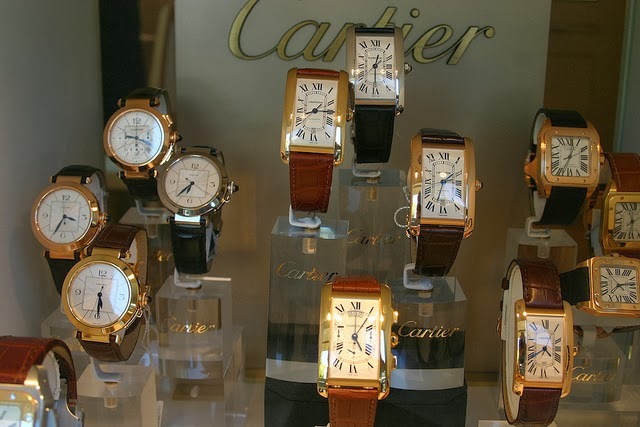 In 1920s, Cartier started a company with Edmond Jaeger to produce movements solely for Cartier. At that time, Cartier came into being as a popular watch brand. Popular brands of Cartier are listed below. When talking about Swiss watches, many brands come in to mind. No doubt Rolex is on the top, but there are many more. Bell & Ross is the brand that is not very old and hasn’t big history. Due to its increasing popularity is it amongst the best brand of Swiss watches around the world. In 1992, Bruno Belamich and Carlos A. Rosillo designed these watches and got them done by a German manufacturer Sinn. Models in the beginning contain logos of the both names i.e. Sinn and “Bell & Ross”. This partnership continues for a decade. Later in 2002, BR – Sinn partnership was broken and BR set their own manufacturing facility in Switzerland. Bell & Ross introduces a space watch to wear in the space. This was the year 1993, and this variant was named Space 1. Three years later, The French Security Company gave an order to manufacture a watch for their bomb disposal squad. In 1996, Bell & Ross provided such model which was perfect in such circumstances. It had features like anti magnetic case, good legibility, and accuracy. 1997 was the year when World water resistant record given to Bell & Ross to meet the 11,000 meter underwater record. Space 3 was introduced in 1998 and later in year 2001 Bell & Ross combined the modern movement in the classic style. This was a big step and Bell & Ross watches put their eggs in the basket of Fashion. 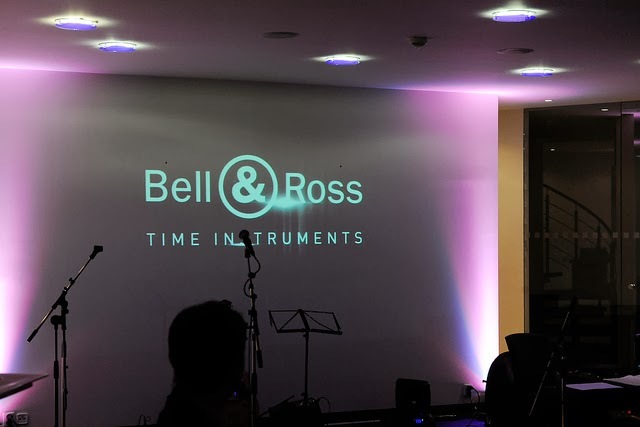 In year 2005, Bell & Ross introduced the model BR 01 Instrument and then other models came into being. 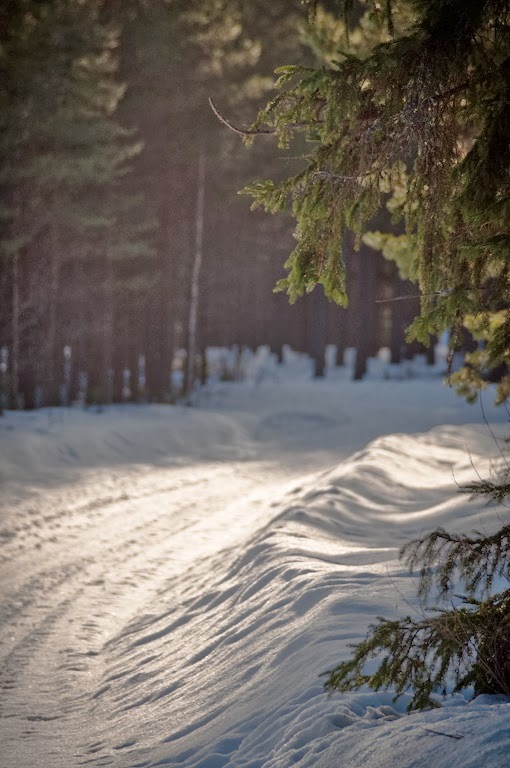 There are many different models that are designed on different concepts. The design concept of BR Instrument was taken from an instrument in aircrafts. There is a model named Hydomax that contains the hydraulic fluid in the case to survive in the extreme pressures. For diving professionals, BR 02 is introduced that is water resistant up to 1000 meters. Dials of these watches are legible enough to read easily. Let’s have a look on all of these in details. 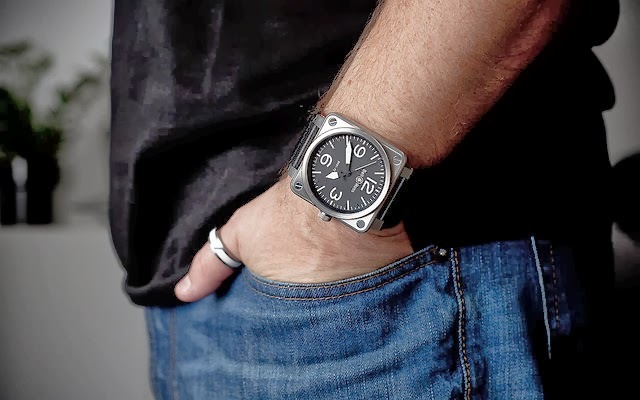 Vintage Bell & Ross is the collection to tribute vintage watches that were worn by pilots in 20th century. These conceptualize the era from 1910 to mid of the century. PW1 are Bell & Ross watches that were manufactured on the concept of first pocket watches in 1910. Those pocket watches were used in Aviation, so these PW1 models are tribute to them. WW1 are Bell & Ross watches that represents first wrist watches that were worn in 1920s. Again these are aviation watches because these were designed on the concept of first wrist watches for Pilots. These WW1 watches are further classified in to Vintage WW1 CHRONOGRAPHE MONOPOUSSOIR, VINTAGE WW1 HEURE SAUTANTE, VINTAGE WW1 REGULATEUR, AND VINTAGE WW2. Vintage original collection is here to represent the 1940s era. Vintage original collection is on the same pattern as it was in 1940s like legible dials, straps (finish), and satin cases. These vintage Bell & Ross watches are also known as Bell & Ross BR. These are further classified into VINTAGE AUTOMATIC AND VINTAGE CHRONOGRAPH. As the name says, these are aviation watches, and purely designed for pilots. The good news is that it is not limited to pilots anymore. Everyone can wear them now due to current fashion trends and styles. 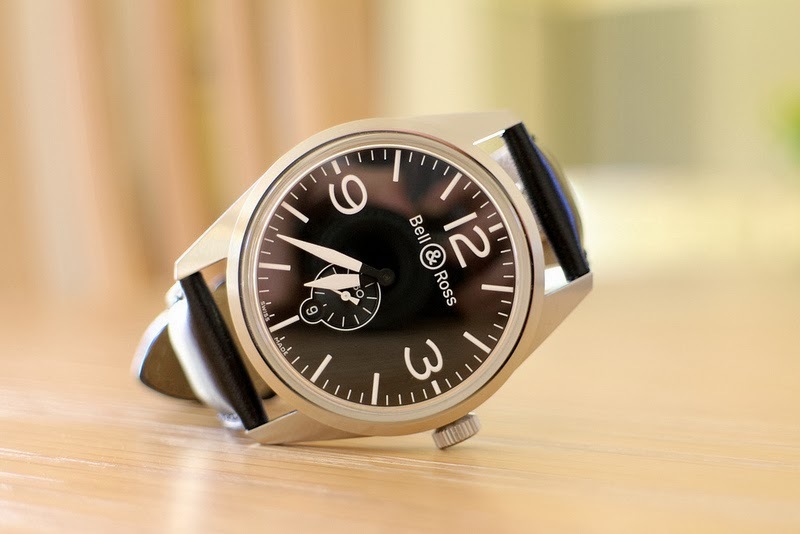 Bell & Ross Aviation Watches are further classified in several models. Inspired from the cockpit instrument this is one of the best watch around with accuracy and legibility. It’s a great piece to collect for watch collectors as it is no more limited to pilots only. BR 01 has many different flavors, and I am just going to name them here. BR 03 is the inspiration from BR 01 Model with a 42 mm diameter. It is a companion to the pilots and a gift for all watch collectors out there. It further is divided in following models. This is the smallest model of the aviation collection and a great watch to keep on all important occasions. BR S comes in two basic flavors. After excelling in the aviation industry, Bell & Ross has Marine models for professional divers. Bell & Ross Marine watches are water resistant up to 1000 meters and in even deep waters it is very legible and accurate. Bell & Ross marine comes with two distinctions, Bell & Ross Marine Automatic and Bell & Ross Marine Chronograph. I would like to introduce this term i.e. swiss replica Bell & Ross. Not everyone can afford an authentic watch. According to the auction, Bell & Ross authentic models sold in the range of 4000-6000 euros. Swiss replica is the genuine fix for the price issue. Swiss Replica Bell & Ross at bestclones.sr comes with accurate specifications and warranty.